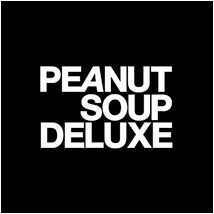 Peanut Soup Deluxe is an arty farty arts and culture blog created by the Fufu Lip Ninjas. If we see anything out there that we like then this is where it will most likely end up. Follow the links by clicking on the images. "WE CREATE, WE DISCOVER, WE SHARE"